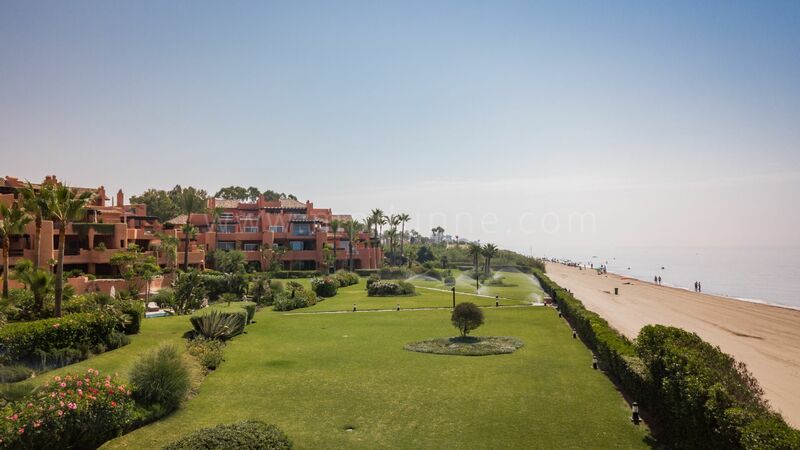 A bank repossession Beachfront Apartment at Los Monteros East Marbella this ground floor apartment is a fantastic opportunity to purchase a luxury property at a reduced price. 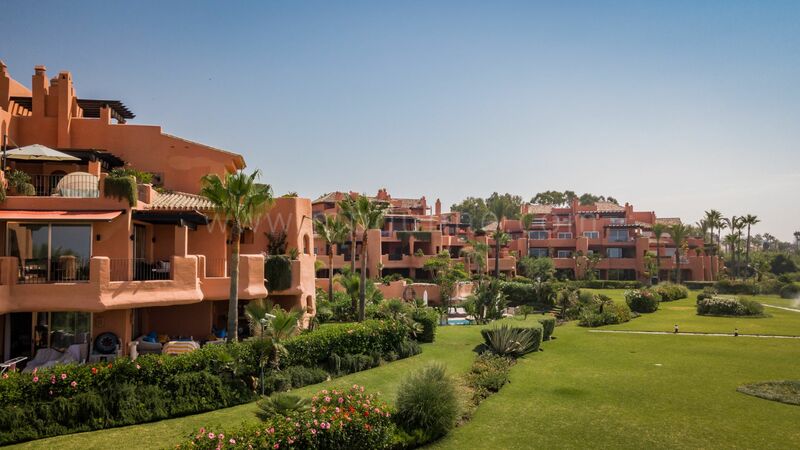 The complex has been finished for some years and is a settled, mature complex. 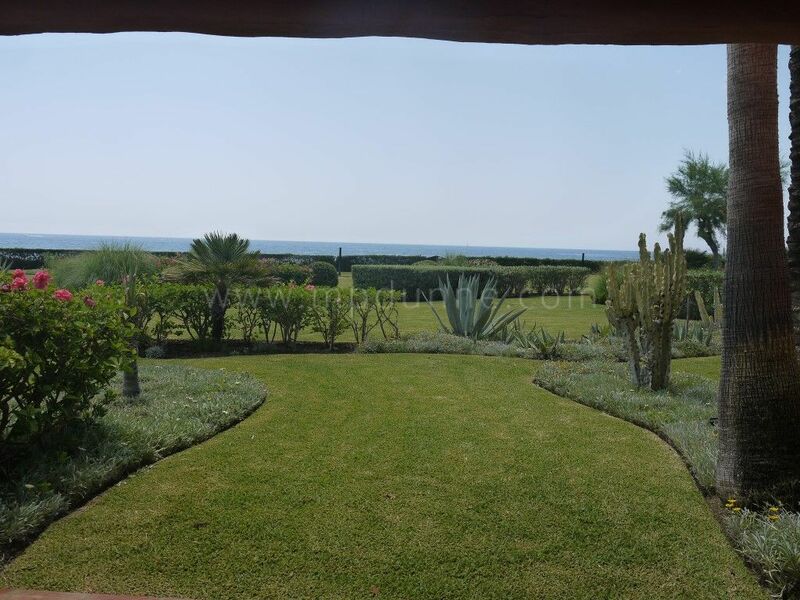 There are 10.000 m2 of beautiful gardens and a large pool area. The community is fully gated with one entrance controlled by 24-hour guards and surveillance. 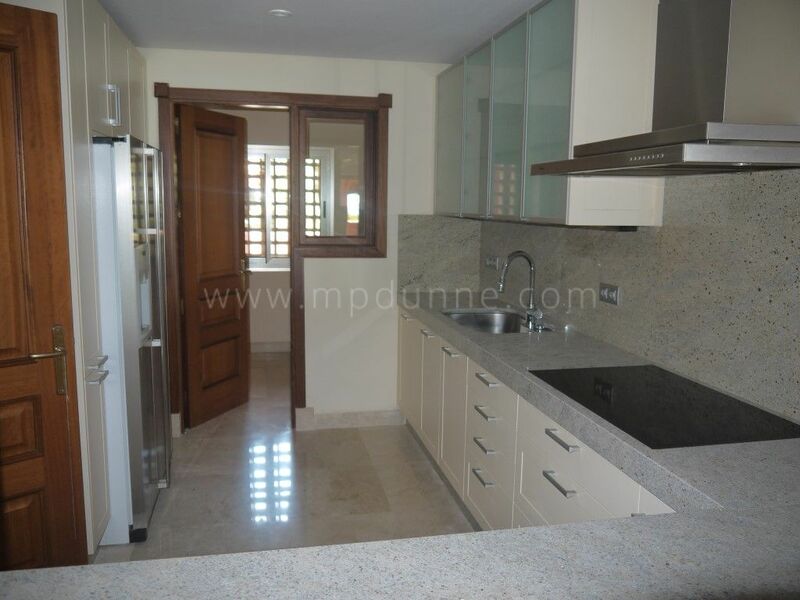 This apartment is a ground floor garden apartment facing directly south. Three large bedrooms all are on suite. 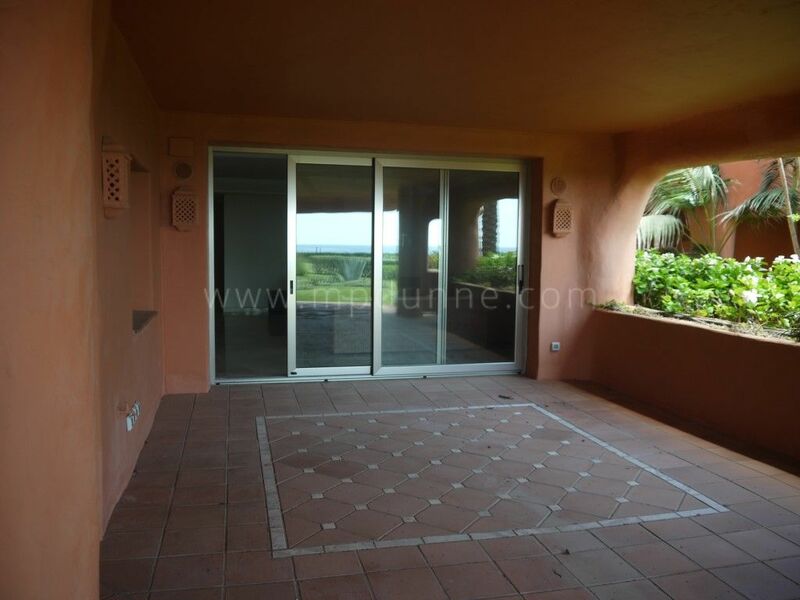 Kitchen, laundry room, and a spacious lounge dining room leading to a large covered terrace area. 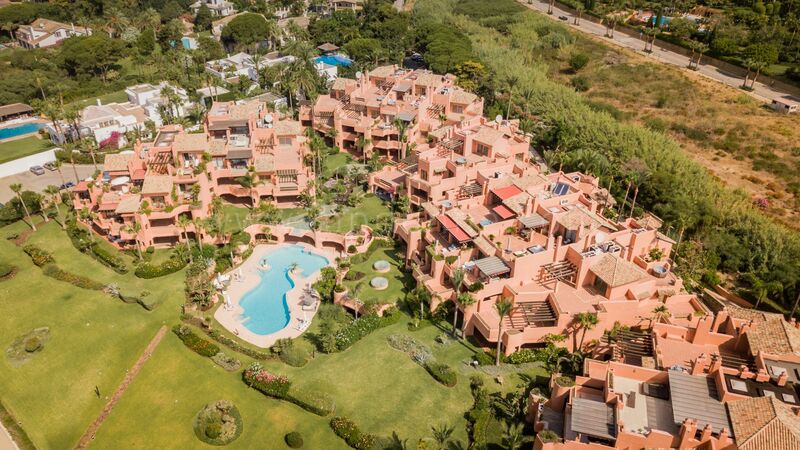 A superior luxury complex designed by the renowned architect Melvin Villarroel in his classic Mediterranean style. The apartment has cream marble floors, underfloor heating throughout, home intelligence system, a fully equipped kitchen and a laundry room. 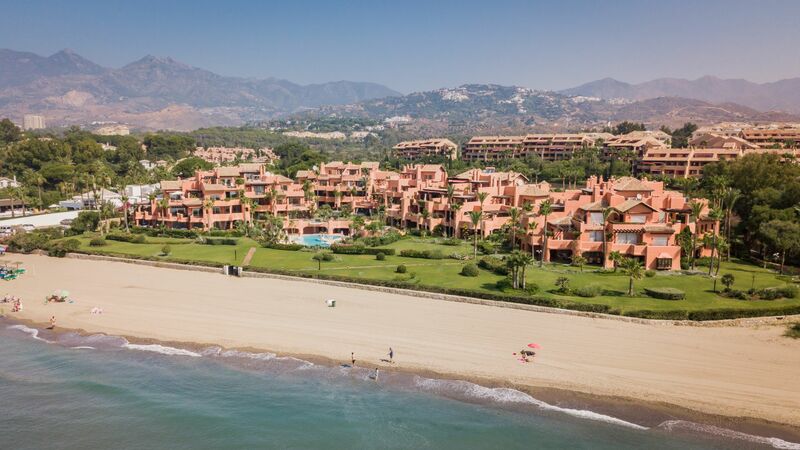 The Four Seasons Hotel has confirmed they will be building their newest resort in Marbella only a few Km from la Morera and with both this and a new beach club and the new boardwalk from Marbella which will give access for walking, cycling etc. 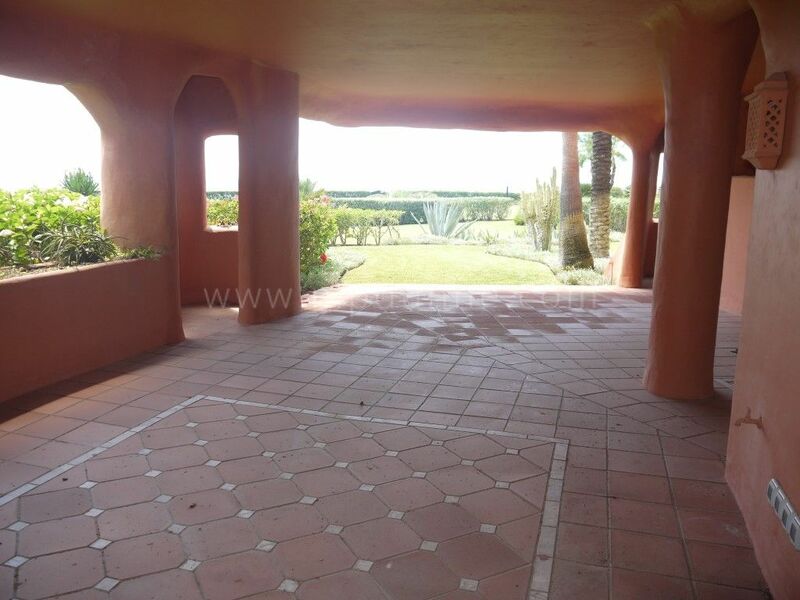 A must see for anyone looking for a reasonably priced frontline beach property.